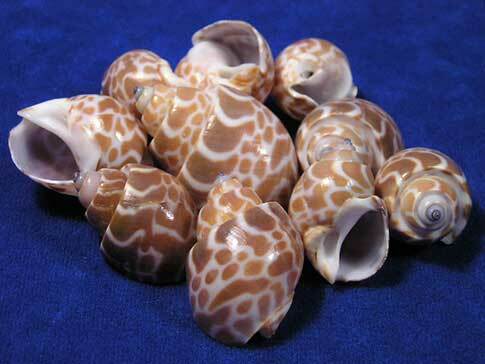 Babylon spirata seashells are thick and sturdy. Even though they all have the same shape, the cool brown and white patterns are unique on each and every one. They are also known as Spiral Babylon which are usually found in muddy areas of the Indian Ocean. The combination of bird nest coral with babylons create natural charm in your decor. Be creative and enjoy the beauty.